Unit C1 & C2, 8/F., TianHu Building (Block-B), No. 148 BinLang Xili, Xiamen, China. Stone World Connection Ltd is one of the leading China granite countertops manufacturers and suppliers, welcome to wholesale granite countertops from us. 1) Materials and Colors: China granite or imported granite from India, Brazil. China green, white tiger skin, G687, G664, G663, G635, G562, G603, G682, G636, G640, G614, Absolute Black, Baltic Brown, Tan Brown, Tropical Brown, Giallo Fiorito, Emerald Pearl, Blue Pearl, Kashmir Gold, etc. 4) Quality standard: First-class quality exports for America market. 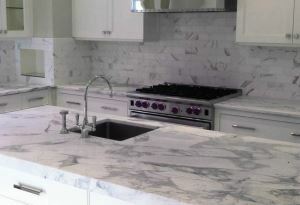 5) Applications: Wall, Floor, Step, countertop , Vanity top , table top.